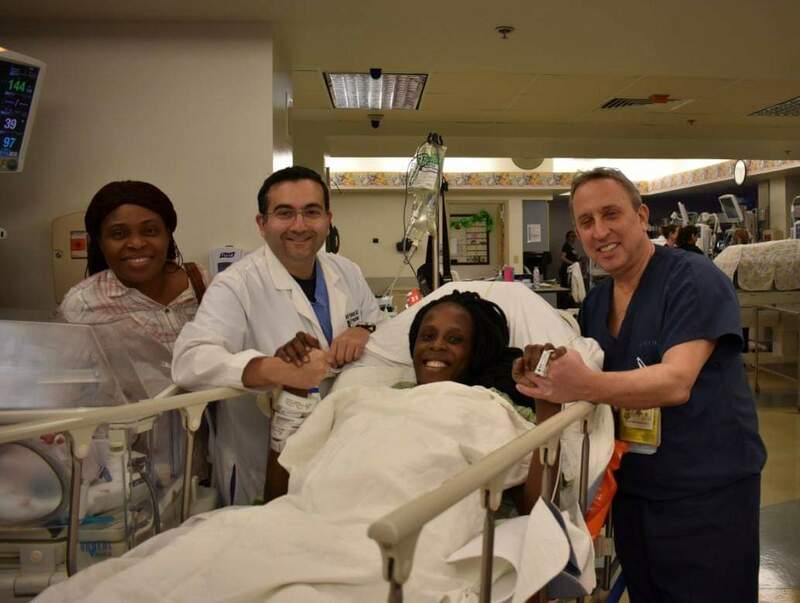 Texas woman gives birth to rare sextuplets in less than 9 minutes – Hey, Black Mom! Thelma Chiaka delivered three sets of twins at a Houston, Texas, hospital on March 15. As if doing it less than nine minutes wasn’t already extraordinary, the odds of her birth were even more jaw-dropping. According to the Woman’s Hospital of Texas, where Chiaka had her four sons and two daughters, sextuplets come at a one in 4.7 billion chance. Woman’s Hospital delivers more babies than any other in the state. “We are honored to welcome Thelma Chiaka’s four sons and two daughters early this morning,” read a post from the hospital’s Facebook page. The babies are stable and in great condition at Woman’s Hospital’s neonatal intensive care unit. The babies were born weighing between 1 pound, 12 ounces and 2 pounds, 14 ounces. The medical team for the delivery consisted of Dr. Ziad Haidar, Dr. Sharmeel Khaira and Dr. Israel Simchowitz. Chiaka, who is doing well, named her two daughters Zina and Zuriel.